Active Directory self-service attribute maintenance takes the load off of IT administrators to make user requested changes to Active Directory profile attributes. 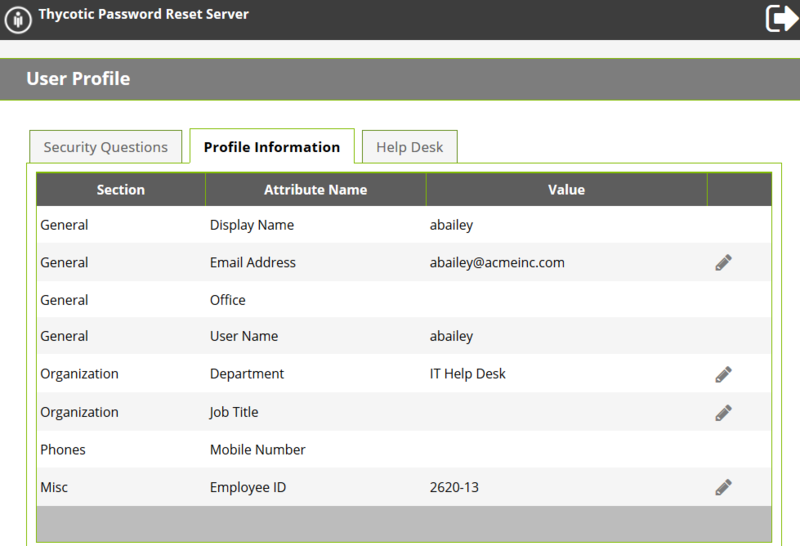 Password Reset Server provides an easy way for end users to update profile information such as mobile phone number, home phone number, last name, etc… without having to contact an administrator to update Active Directory. Administrators can choose which attributes are viewable by enrolled users, and which ones can be modified. Users can also validate that their information is correct, so invalid information can be captured in the reporting.